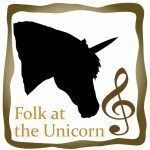 November 2011 saw the Unicorn Theatre in Abingdon once again filled with the sound of folk music. 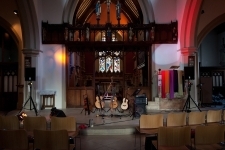 Local music promoters Tom Povey (tp-ents) and Jenny Semmence (Seahorse Promotions) began bringing both established stars and new folk artists once a month to Abingdon. The Unicorn Theatre building was originally constructed in the 14th century in a small complex of buildings that once belonged to Abingdon’s magnificent Benedictine Abbey, which was dissolved under Henry VIII’s reign. The Chequer Hall was saved from ruin in 1952 and refurbished into an Elizabethan style theatre. The Holywell Music Room is the city of Oxford’s chamber music hall, situated on Holywell Street in the city centre, within the grounds of Wadham College. Built in 1748, it has been hosting music concerts for over 269 years and is said to be the oldest purpose-built music room in Europe, and hence Britain’s first concert hall. 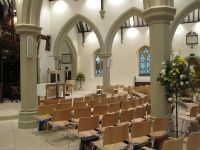 It is famed for its excellent acoustics and intimate if slightly spartan atmosphere.